Sweetened Condensed milk is so useful in baking – but when you can’t have dairy it rules it out. The fats in dairy milk and coconut milk make them really good for reducing into condensed milk – but we’re not huge fans of coconut, so I have tried to condense oat milk and rice milk before but without huge success. More recently I had a go at almond milk. I was a bit hesitant at first but it seemed to be taking forever but I was patient (well … probably just stubborn!) and it worked – and worked beautifully!!! And even better, this one is free of refined sugar – Yay! It isn’t super sweet (on purpose) but if you prefer a much sweeter version increase the syrup to 150g. Place both ingredients into a saucepan and bring to the boil, turn down to a gentle simmer and allow to reduce by half, stirring regularly. Takes close to 2 hours. So simple! 500ml of milk gives about 240ml of condensed milk (equivalent of 1 tin). Store in the fridge for a few days. 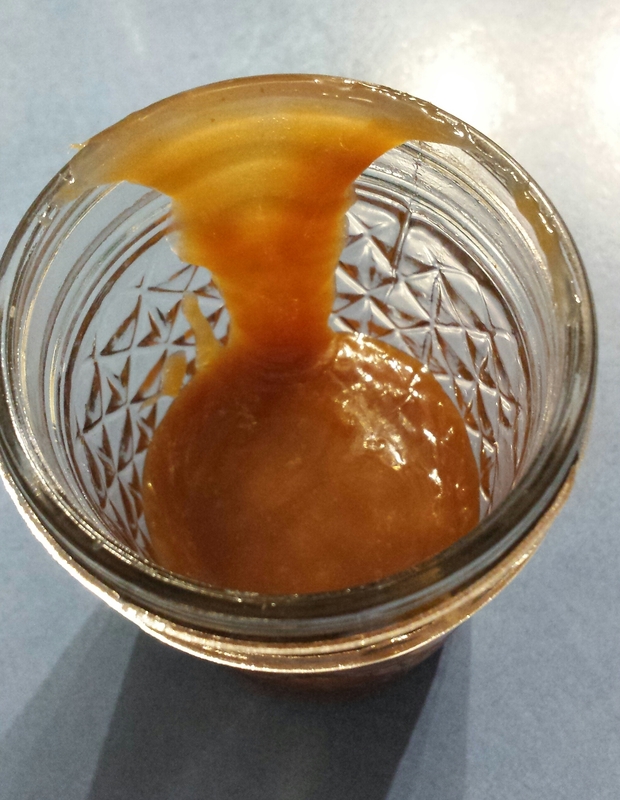 If you allow the liquid to reduce even further (about another 20 or 30 minutes) you will get an amazing, thick, creamy dulce de leche that you can use as a caramel in baking, a dip for fruit …. or just eat with a spoon!! 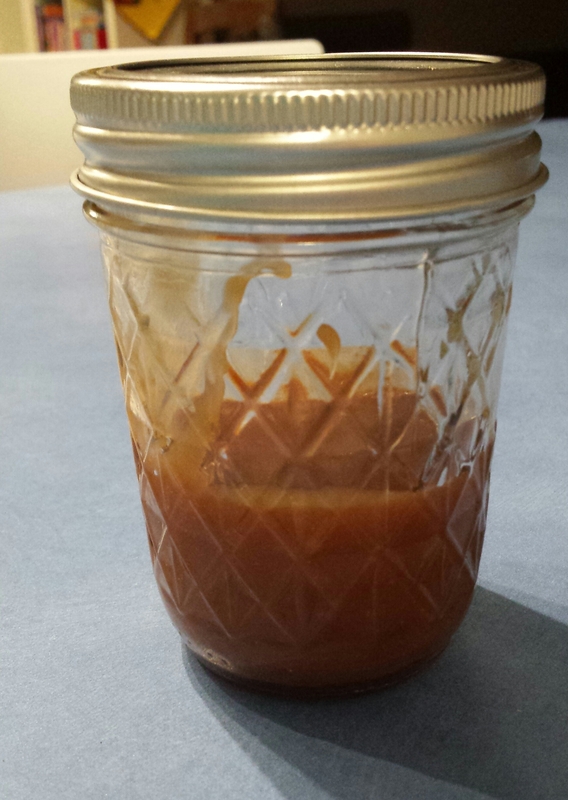 I’ve added some Himalayan salt to mine at the beginning of cooking to give a salted caramel. Mmmmm!! 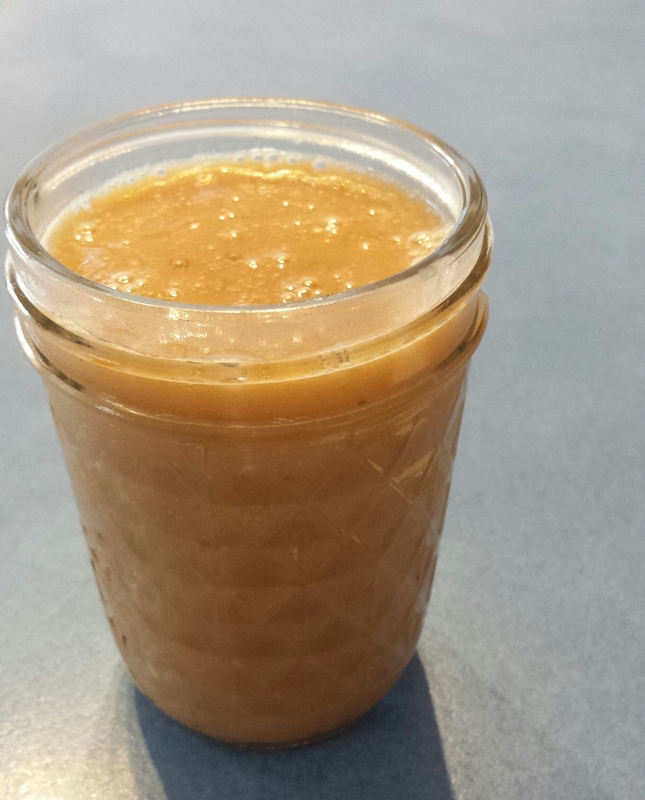 500ml of milk gives about 100g of Dulce de Leche. Love the idea of this. Do you think it would work with home made almond milk or do you just use store bought? I’m sure you could use homemade. I haven’t tried as I haven’t made that leap yet! If you do buy store bought though, make sure you get the highest percentage of almonds you can find. The one I used was 12% but there are some out there that are only 3% and I don’t think that’d be enough fat. Let me know how it goes if you use your own milk!